There is news from the Marvel camp that the actress Florence Pugh is deep in the meeting rooms at Marvel Studios talking about a starring role opposite Scarlett Johansson in the big screen adaptation of Black Widow. The movie will be a standalone feature, so we would be seeing plenty of both actors in the new big budget film. Florence Pugh isn't the first to potentially join Scarlett Johansson in this venture. The director has already been picked. Cate Shortland, the Australian filmmaker who is probably most recognized for directing the Nazi drama Lore, is heading up the project. The film is set to start shooting sometime in June, overseas in London, England. Florence Pugh was raised in Oxford, where she went to the same school as Sir Laurence Olivier, Emilia Clarke and Kit Harington, so she should feel pretty comfortable shooting the superhero flick in her own native country. There have been literally no plot details released, none. Marvel is keeping tight lipped, iron tight about the storyline. This seems to be their recent strategy for marketing almost all of their films. They present the film through the characters first, focusing on them rather than the storyline of the movie they are in. We do however know Black Widow's comic book background quite well. She was created by Marvel Comics legend Stan Lee, Scripter Don Rico, and artist Don Heck. Black Widow made her debut in Tales of Suspense #52 published in April, 1964. Natasha Romanoff, Russian spy, deadly assassin. She was trained from a very young age to be a tool of the KGB. She started out as the mortal enemy of Iron Man, but she turned at one point, defecting from Russia to join the forces of good becoming an agent of SHIELD, the Avenger, Black Widow. Because of her Russian roots the story will probably be international in scope. Looks like Pugh will be playing a role where her background mirrors that of Natasha's in the vein of a deadly Russian trained female spy except. Pugh's character may be Black Widow's moral opposite, creating a compelling on screen tension. The most recent working script for the Black Widow was written by Jac Schaeffer. She has both directed and produced some good work in the past so the studio is expecting a strong showing from her this time around too. 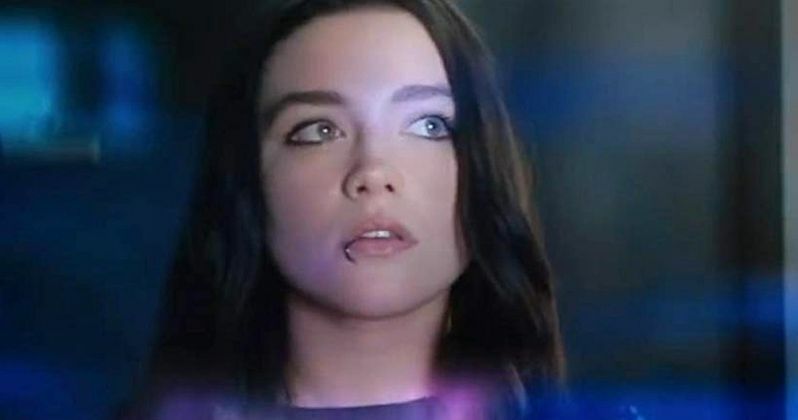 The addition of Florence Pugh to the cast would be noteworthy because she is a very good actor, and would certainly bring her experience to the screen to help the story come to life. Florence has already been honing in her spy chops on the AMC mini-series The Little Drummer Girl where she starred as an undercover agent so I am sure she will be more than ready to flex her acting muscles on a spy role in a major film release. She has also notably appeared with Chris Pine in The Outlaw King and the widely praised, well received family drama, Fighting With My Family. Florence is represented by WME and Bloom Hergott. Looking forward to the day this one comes out. This casting update was first announced at Hollywood Reporter.